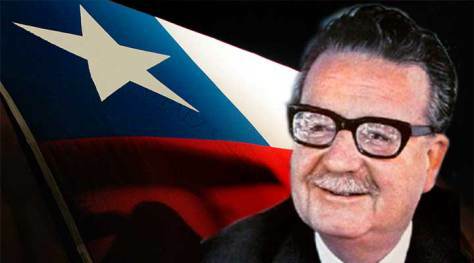 Salvador Allende, a known socialist, was elected President of Chile in 1970. He was killed in a military coup in September 1973. Those who carried out the coup were advised and assisted by the CIA, under orders from President Richard M. Nixon and Nixon's national security advisor, Henry Kissinger. The coup, and the murder of Allende, ended democratic government in Chile, and brought to power the murderous dictatorship of General Augusto Pinochet. Luis Sepúlveda, a student leader at the time of Allende's election, and later a celebrated novelist and theater producer, was helping to provide security at an interview that Allende gave to Régis Debray, a radical French intellectual, shortly after Allende's election. The September 11/18, 2017, edition of The Nation has a description of the interview, which reveals previously unpublished material. You can read what Sepúlveda says (and what Allende said) by clicking on this link to the article, "When Salvador Allende Told Us Happiness Is A Human Right." The idea that we have a "right" to happiness, or to the "pursuit" of happiness, which is perhaps a more realistic way of stating the case, is fundamental to an understanding of what a democratic politics is all about. In her wonderful book, On Revolution, Hannah Arendt makes this clear. Arendt identifies the "happiness" spoken of in The Declaration as a "public" happiness, which derives from the concrete actions of citizens who are striving, together, to create a political world that responds to their deepest aspirations and their highest hopes. Such "happiness" is, in essence, nothing other than the actual practice of self-government. It is clear from the Sepúlveda article that this is what Allende also thought, and this thought is important for all who care about the future of democracy, in our country and elsewhere. Without the actual practice of such public "happiness," democracy and self-government will be lost. The first time I began to think of this idea of happiness, of the possibility of being happy not only as an individual but as part of a community, of a happy society, was in my country, Chile, in 1971. 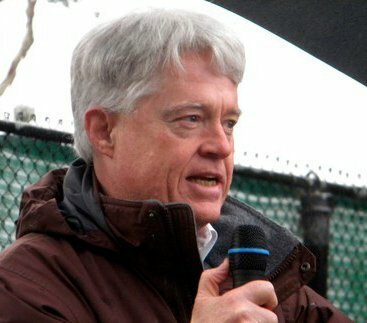 Making the revolution, and practicing self-government, is the "happiness" we have the "right" to pursue. Arendt states this as theory. Luis Sepúlveda provides a first person report!